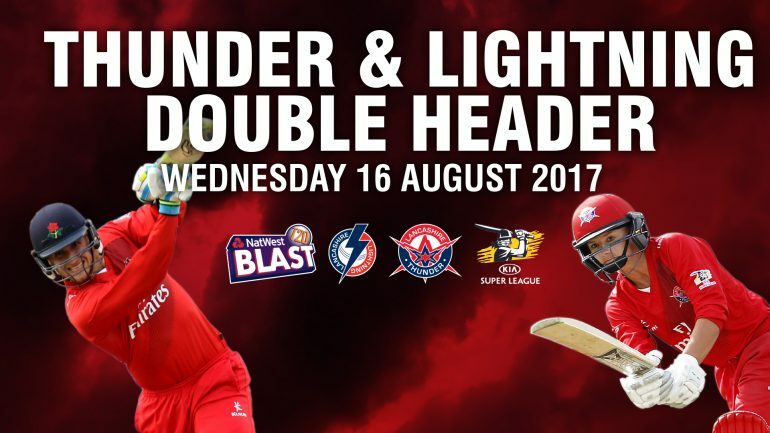 Lancashire Thunder has announced that tickets for their clash against Surrey Stars at Emirates Old Trafford on Wednesday 16th August (2:30pm start) are available from just £10 for adults and £1 for juniors. This ticket will also give supporters access to the NatWest T20 Blast fixture that follows which sees Lancashire Lightning host the Worcestershire Rapids, starting at 6:30pm. 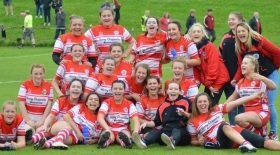 Lancashire Thunder made history last summer playing in the first ever domestic women’s fixture at Emirates Old Trafford and will break new ground again this year when the side’s opening two games of the competition will be televised live on Sky Sports. The Surrey Stars fixture forms part of the Sky coverage preceding the live coverage of the Lightning and Rapids game. Thunder General Manager Bobby Cross was pleased with the news, “There has been great excitement around the increased media coverage for this summer’s NatWest T20 Blast. Last summer was a great starting point and the Sky coverage and increased BBC TMS coverage will take the game to an even wider audience. “I am delighted that we have been able offer such good value for this game and I think it shows how seriously everyone at Lancashire County Cricket Club, the Lancashire Cricket Board and the LCCC Foundation is about the continued growth of the women’s game. 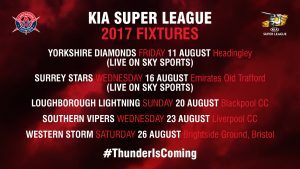 Chief Executive Daniel Gidney said, “We’re hugely excited by the potential of Lancashire Thunder and the Kia Super League as a competition over the next few years and we want as many supporters to get behind the team as possible this summer. Lancashire Thunder will announce their overseas signings and confirming their squad in due course, whilst further ticket details for supporters will be released in the coming weeks.